During most of the year, the cement-block building at 415 S. Dewey St. in downtown Eau Claire is used to store motorboats for the Ski Sprites water ski team. When the leaves begin to turn and the night air becomes chilly, however, the building undergoes a gruesome transformation. Just in time for Halloween, the Ski Sprites have created the Hall of Horrors, a fright-fest full of seasonal scares, both old and new. The haunted house – which is open for the three weekends before Halloween – is the main annual fundraiser for the Ski Sprites, who perform all summer on Lake Altoona. Last year’s haunted house drew 5,000 visitors, and Sprites volunteer Colleen Weber says they hope for an even bigger crowd this year. “It’s all truly in good fun,” she says, “but those people who are traumatized shouldn’t come through.” Consider that a warning, faint-hearted-folks. (While folks middle school-aged and up will have a screaming good time, you’re better off taking the littler ones to a pumpkin patch.) Each year, the Sprites choose a different theme for their haunted house; last year it was a mortuary and crematorium, while this year it’s an academically themed Hall of Horrors, including creepy cafeterias, classrooms, labs, and locker rooms. In addition to the new scares, there will be classic elements like a darkened maze and a dizzying vortex of light. 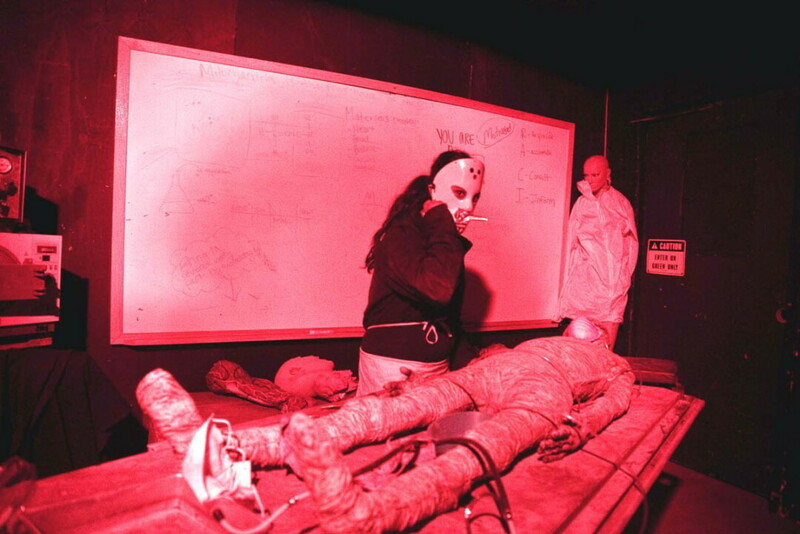 Suffice it to say that there’s a lot more to scare you at this school than math class.